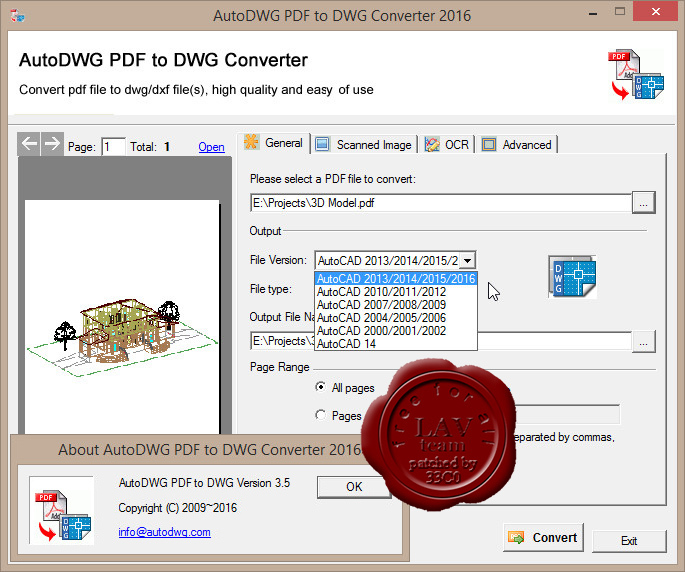 AutoDWG PDF to DWG Converter converts PDF into DWG and DXF, as well as vector and raster into vectorized editable drawing. Now the version of AutoCAD 2016 is supported. Enhanced conversion quality by Smart Object Recognition. Convert PDF to editable DWG and DXF file. Retaining accuracy of lines, arcs, and True Type texts. Accepts single page and multi-page PDF input. Convert raster image to vector entities.